I feel bad for my landlord. 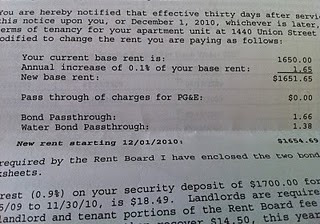 Because of San Francisco rent control laws, he's only able to raise my rent 0.1%, or $1.65, this year. Wow.